Throughout life, you will come to points where you have to insure various items to protect their value in the case of an accident. Of all the insurance payments, you will have to make. Auto insurance will be one of the largest and most financially demanding options you must decide upon. Here are a couple of things that we might not normally consider when trying to save money on car insurance. When choosing an auto insurance policy, look into the quality of the company. The company that holds your policy should be able to back it up, click here to get car quotes online. It is good to know if the company that holds your policy will be around to take care of any claims you may have. You can take a look at the Better Business Bureau’s or Consumer Affairs websites in order to check for complaints against your top choices. Asking your friends, coworkers, family members, and even neighbors about their experience with certain auto insurance providers can also help you to narrow down your choices and find a reputable company. Don’t fall prey to buying insurance coverage that you do not need. Research your needs on your own, or ask the insurer if it is a must that you purchase all coverage they mention to you. One example of this would be roadside assistance coverage. If you have roadside help through some other means such as your credit card (one of many credit card benefits) or through some sort of membership elsewhere, you do not need to purchase it from your insurer. Your teenage driver’s insurance will cost you much more than yours for a while, but if they took any formalized driving instruction, be sure to mention it when shopping for a quote or adding them to your policy. Discounts are frequently available for driving instruction, but you can get even bigger discounts if your teen took a defensive driving class or other specialized driving instruction course. If your car is insured with multiple drivers and one of them stops using the car, notify your insurance company immediately. It can reduce your premiums significantly in many cases. Young drivers, old drivers, and drivers with bad records all boost your premium. Get them removed from your policy as soon as you can. Usually, you can find some of the best insurance deals on the web. This is because selling directly to customers cuts out costs, like an agent or having a ton of local offices; so the insurance companies get to keep a little more for themselves. This also will trickle down to you in the form of a small discount. There are even some companies and/or that will perform car insurance comparisons on your behalf. Consider suspending coverage on a vehicle you are not actively driving to reduce your premium payments. Often, you can suspend coverage except comprehensive on a vehicle not being driven, which still provides protection should the vehicle be damaged while garaged or parked – although, if it is not being driven, it may not be worth the extra cost of comprehensive coverage. However, check with any lienholder or your state to make sure you are adequately covered and complying with loan requirements before suspending coverage. Hybrid vehicles are really underrated in terms of insurance prices. So if you want to save money on car insurance, you might want to look at purchasing some type of hybrid vehicle (such as the Honda NSX). Apart from the great tax savings, you will also stand out as a low-risk driver in a hybrid, and thus your insurance premiums will ultimately drop. When it comes to purchasing a hybrid, just make sure that the added cost will be worth it when considering lower fuel costs, any tax credits you may receive, and paying less for your car insurance. Though simple, the tips listed above could save hundreds of dollars per year on expensive auto insurance payments. The point is, take your time and calculate your costs carefully. Get ahead of the curve and be prepared for what you will need to pay before you even go to get your vehicle. Knowledge and research is the key to saving. 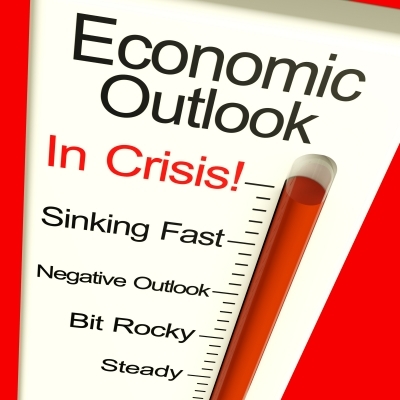 Previous Post: « Are You Preparing for the Next Recession? Strong points. I didn’t realize hybrids have lower rates. People should get competing quotes from big name insurers online, even if they also want a quote from an insurance agent. Increasing the deductible is one of the best ways to save on car insurance. I am hoping that more people begin taking advantage of increasing their deductibles, and just bump up the amounts in their emergency funds to cover it. I actually don’t like car insurance very much b/c it’s so damn expensive. I pay $700 a year and my car is probably worth about $25k at this point. I suspect my car will run for another 10-15 years, so at the end of that time I’ll have paid 1/4-1/3 of it’s value! I can understand the point about insurance – especially when you break it down like that. However, your insurance is actually pretty cheap compared to what we pay. Now granted, we live in the state with the highest rates in the nation, but we still pay well over $2k/year for 2 cars!